Click on each image to view the template details. The templates interface or the screen is divided into two halves with a slanting line. The left half has logo placeholder, title placeholder, welcome text and the button with the text “click here to begin.” The right half of the screen has an image representing the course title. The interplay with shades of blue on a white background enhances the crispness of the interface. 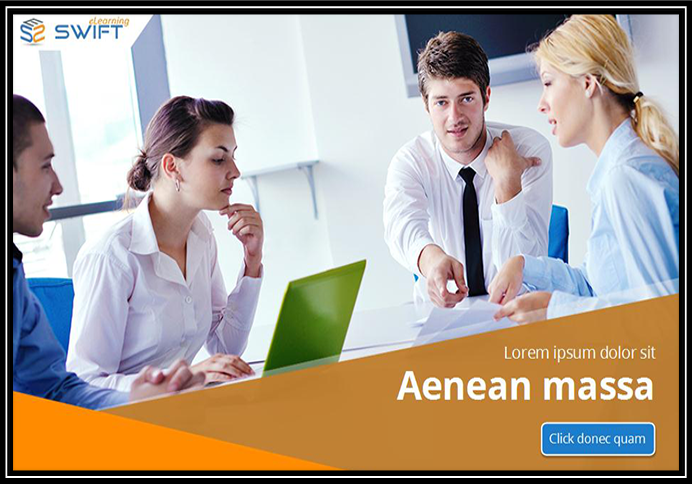 This introduction template is marked by the presence of an image occupying the major portion of the screen. The bottom part of the template has two slanting lines overlapping each other. The logo placeholder is placed on the top left hand corner of the screen. At bottom right side of the screen has title placeholder and the button to begin the course. 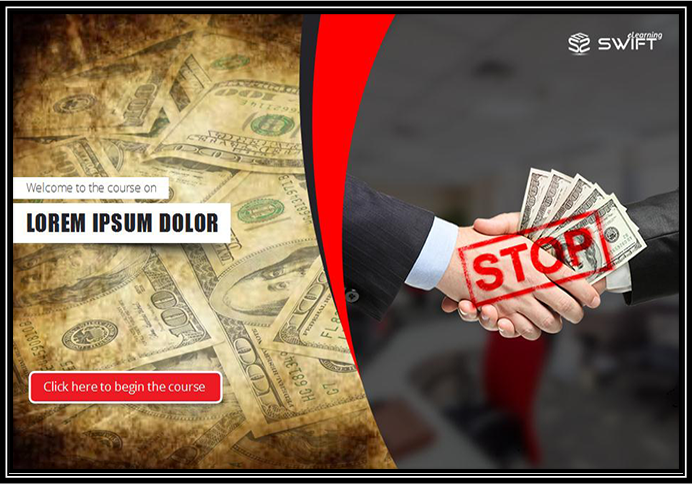 In this Articulate Storyline 360 template, the interface is divided into two equal vertical parts. The colored left half shows an info graphic image of a hand holding a paper/ resume. The right hand part has a logo placeholder, just below which there is provision for the welcome text followed by the title placeholder. 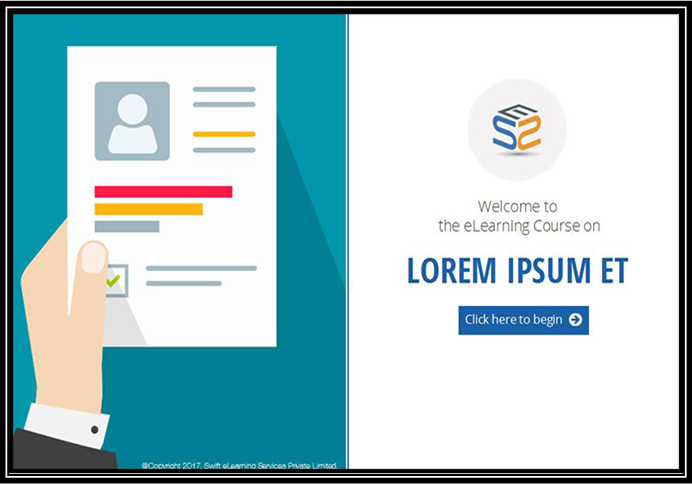 There is a button appearing beneath the title placeholder on which it is written “click here to begin.” Once the learners click on the button, they can embark upon the course. The designing pattern is absolutely simple to the point of being austere, yet the appearance of the template is quite attractive without much intricacy in the styling pattern. 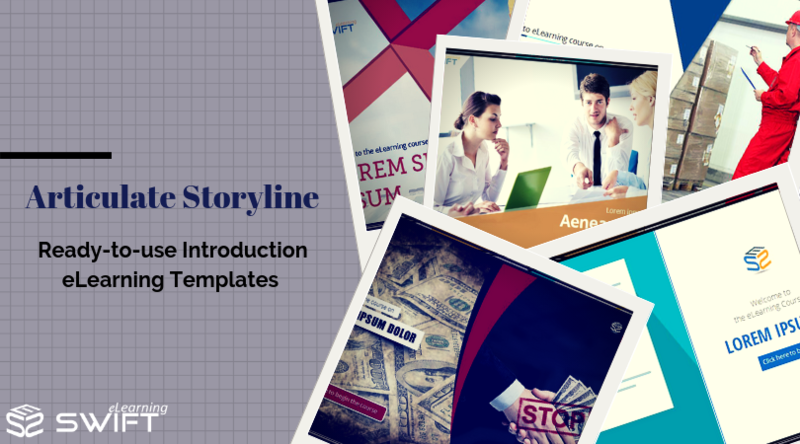 As the name suggests, this Storyline template can be used as welcome page or introduction page of the course. The screen is basically divided in four quarters with the help of a slanting cross. The left upper quarter of the interface has the logo placeholder, while the left lower quadrant has a welcome text followed by the course title. The right lower quadrant has provision for a supporting image that corresponds to the course title. In order to get started with the course, the user need to click on the launch button and the course will get started. 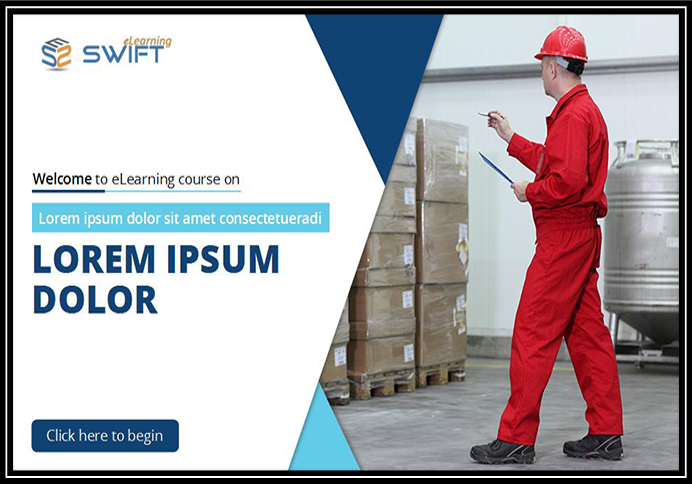 The simplistic yet attractive design makes it a very effective welcome page for the e-learning courses. These templates are HTML5 compatible and can be accessed across all devices such as Tablets, iPads, and Mobile devices. 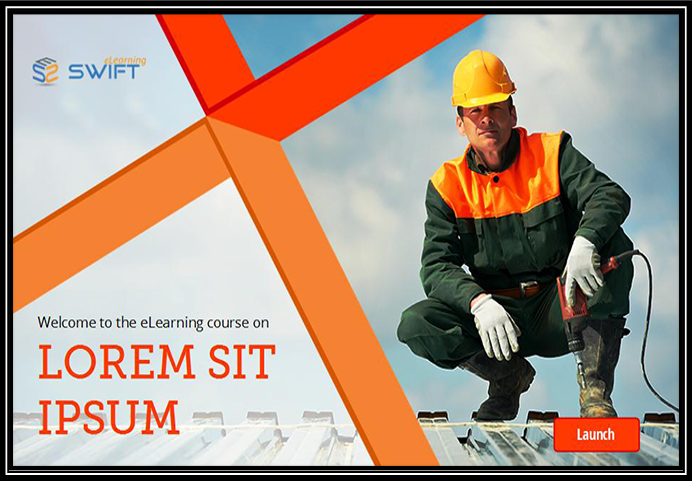 These Ready-to-Use templates help your rapid e-learning development process. You can use them as provided or customize them as per the requirements. Create a Free Account and get access for unlimited templates.